Shraddha Shashidhar from Mumbai was named Miss Diva 2017 on Wednesday evening held at Sahara Star Hotel in Mumbai. 20-year-old Shraddha will now represent India at the Miss Universe 2017 competition which is set to be held on November 26 in Las Vegas. She has a degree in Mass Communication and was born in Chennai. There were 15 candidates in this year's Miss Diva, as throughout the night they all had to prove why they should be crowned as the next Miss Diva through various competitions. 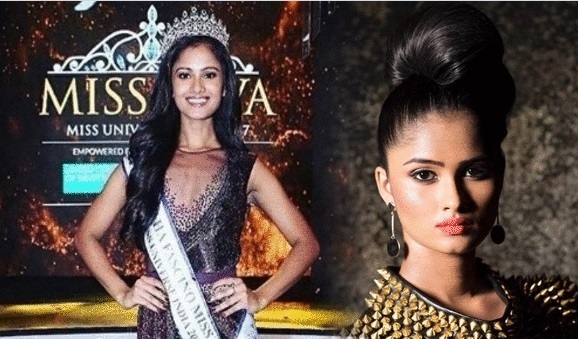 Meanwhile, the first runner-up Peden Ongmu Namgyal will represent India in Miss Supranational 2017 pageant in Poland while the second runner-up Apeksha Porwal will fly to Sri Lanka for the Miss Intercontinental 2017 contest.